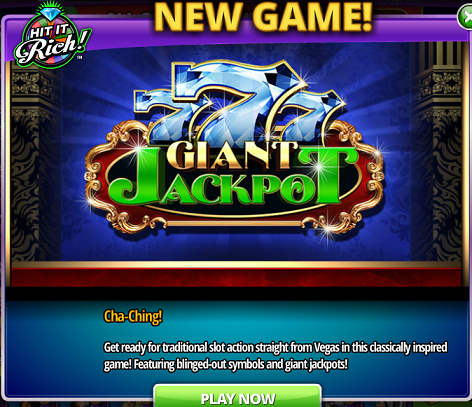 Here's some information regarding the Giant Jackpot which you may find useful! The Giant Jackpot will act just like the normal progressive jackpots. The winner is chosen the exact same way, except the reward will be much higher than the others. To make it easier to understand, we'll refer to the bottom 5 reels as Game 1 and the top 3 reels and Game 2. When you spin the reels, all 8 should spin at the same time. The sequence of the reels stopping will be all 5 reels of Game 1 first, then the 3 reels of Game 2 will be up next. 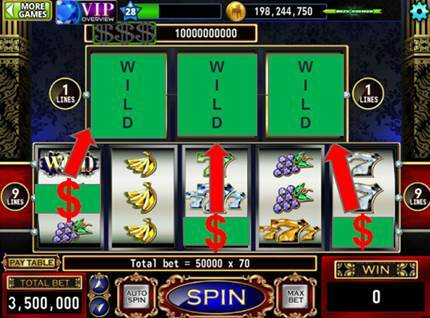 When all three $ symbols fill and light up, you automatically win this Jackpot! You will need to fill all 3 reels of Game 2 (Top Game) with "$" in order to get it. The $ symbol can land on reels 1, 3, and 5 of Game 1 (Bottom Game). If the "$" lands on Game 1, reel 1, then the $ will float up to reel 1 Game 2 (Top Game). If the "$" lands on reel 3 game 1, then the $ will expand up to reel 2 Game 2. If the "$" lands on reel 5 game 1, then the $ will expand up to reel 3 Game 2. This basically means that if you get $ on reels 1, 3 and 5, they will automatically float up to the Top Game reels accordingly. The "$" will also briefly show a vertical Wild Banner indicating that it is also considered as a Wild Symbol. What should I know about the "$" Symbol? 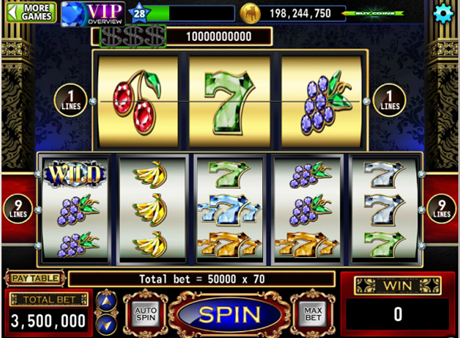 Once all 3 Game 2 reels are filled with the $ symbol, it's time to celebrate with the "$ $ $" jackpot animation!